This set of two brass sculptures are my modern take on Scandinavian himmeli mobiles. They are delicate pieces. 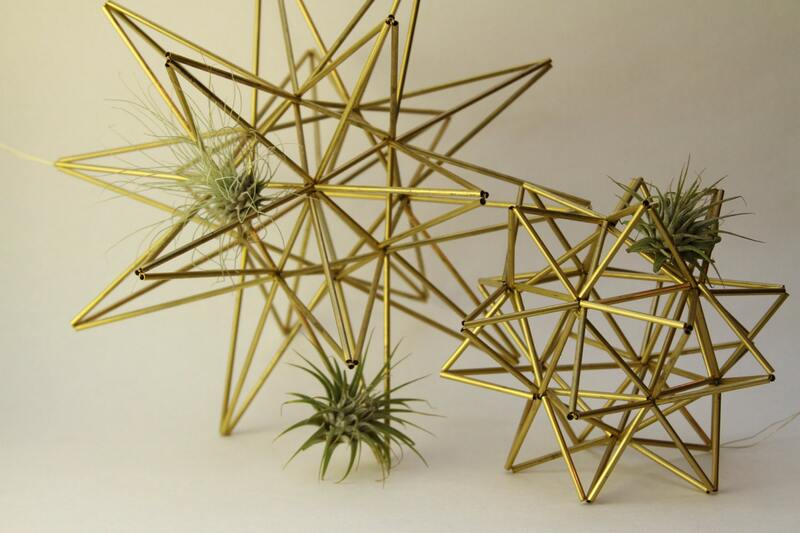 The Moravian Star and pollen ball look perfect on a shelf of a desk. They add life to a dull room and display air plants uniquely and beautifully.